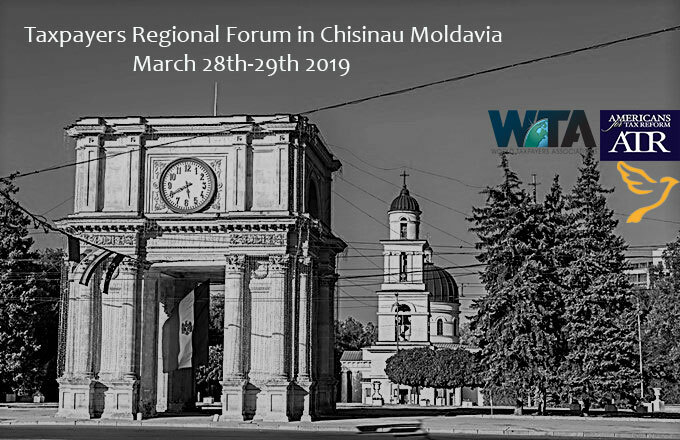 The first WTA-sponsored Regional Taxpayers Forum of 2019 will take place in Chisinau, Moldavia, March 28-29th 2019. The World Taxpayers Associations along with Americans for Tax Reform and the European Resource Bank Meeting are pleased to invite delegates to join us in an exchange of ideas and best practices to advance taxpayer advocacy in Europe. Conference fees include conference materials, coffee breaks and lunch and dinner on Thursday. If you have paid your 2019 Membership Fee to the WTA, you are entitled to free access to this event. Please e-mail Melanie Harvie at melanie.harvie@worldtaxpayers.org for your discount code. The code is valid for two registrants within your organization until February 15th, 2019. After that, a fee of 50 USD per person will be charged. For other groups, the conference has a cost of 75 USD per person. Please act soon, space is limited! You can register here. We highly recommend you to attend the European Resource Bank meeting. If you plan to attend both events (Taxpayers Regional Forum and ERB meeting) please register here. The early bird registration fee is 240 EUR (includes ATR, WTA and ERB meetings), and it’s applicable until January 31st. The European Resource Bank will also host the “Think Tank Dragons’ Den” competition. If you wish to compete, please send an email to office@austriancenter.com (subject: Dragons’ Den – NAME OF YOUR INSTITUTION). Apply with a description of your organization (max. one page long) and a description of your project (one page). There are three prizes: the first prize of 5,000 USD, a second of 3,000USD, and a third of 2,000 USD. Deadline for reception is February 11th 2019. Those who are selected to compete will be announced by latest March 1st 2019. For more information regarding Dragon’s Den Competition, click here. We look forward to welcoming you in Moldavia in March. 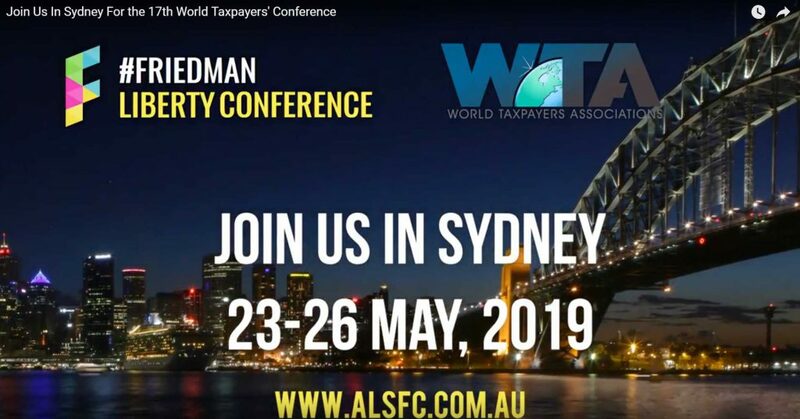 In May 2019 World Taxpayers Associations along with the Australian Taxpayers’ Alliance and Tax and Super Australia is pleased to invite delegates from across the world to join us in Sydney for four days exchanging ideas and best practices to advance the cause of limited and accountable government. This gathering will also hold the General Meeting and board elections for WTA. Join over 500 taxpayer activists and freedom fighters in Sydney for what will be the biggest and best pro-liberty event of 2019 – the 17th World Taxpayers’ Conference combined with the 7th Annual Friedman Conference! All the details regarding the venue, agenda, accommodation and visas are available here. Registration is open. Until February 28th 2019 we are offering an Early Bird Special! After this date, the regular price will apply. REGISTER TODAY! 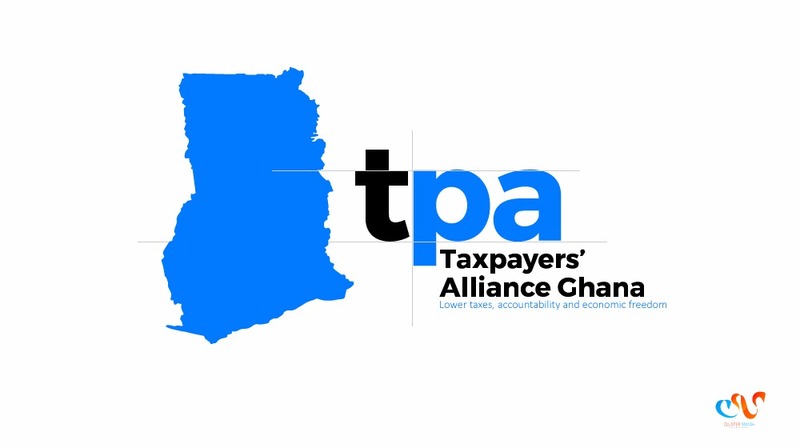 We recommend you arrive no later than Wednesday, May 22nd as the General Meeting for World Taxpayers Associations will take place on Thursday May 23rd. Also, there is an optional Wine Tour to the Hunter Valley taking place after the conference on Monday May 27th. Please keep these events in mind when booking your flight. International guests for the conference MUST apply for a visa in advance of traveling to Australia. This applies to ALL countries. We strongly recommend applying as soon as possible so that any issues may be sorted out in time. You can find more information regarding visa applications here. A limited number of scholarships are available for attendees. To request and apply for scholarships please e-mail Cristina Berechet with “WTA Scholarship Application” in the subject line, answering these questions: 1. Why are you interested in attending the WTA Conference? 2. What are the biggest goals for your organization in the upcoming three years? 3. How much would you be able to contribute to your attendance? Millions to refugee accommodations where no refugees are staying is the most outrageous tax waste of the year in Sweden. The empty refugee accommodations is the 2018 winner of the Swedish Taxpayers’ Association’s annual “Tax Waste of the Year” contest with a record-breaking 17 000 votes cast. The city of Gothenburg’s 236 Communication Officers came in second, and the world’s longest ski tunnel under a mountain in the tiny town of Bräcke was voted the third most jaw-dropping waste of public money. 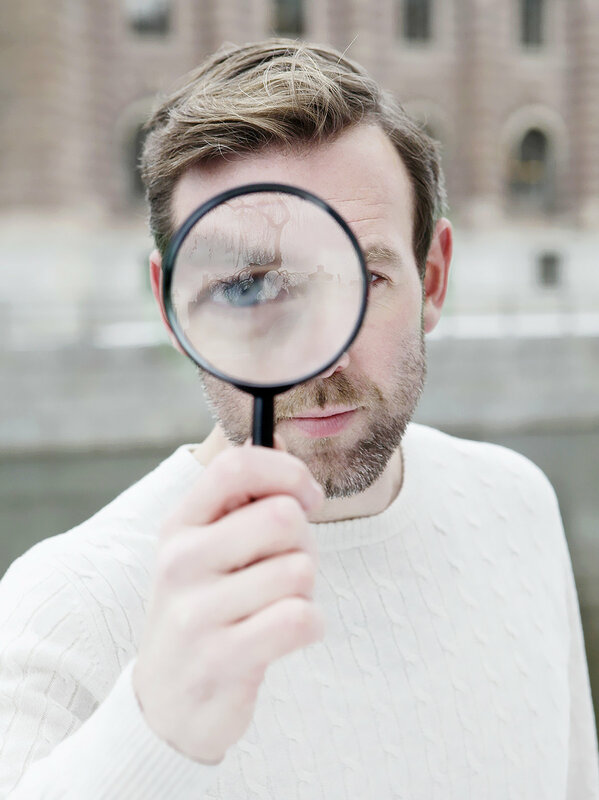 Ten nominees were selected from the examples that the association’s Ombudsman for tax waste, Slöseriombudsmannen, exposed to its more than 100 000 social media followers on a daily basis. To see all the nominees click here. 5) Deregulated several aspects on corporate tax reporting. 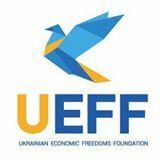 UEFF also managed to deter all tax hikes on beer and tobacco, as well as a government proposal to set tobacco taxes in euros. How did they do it? The Parliament had to adopt the budget in order to get an IMF loan. UEFF seized the opportunity to push for their amendments and then asked MPs not to vote unless they were approved. Simple and effective! The Canadian Taxpayers Federation is involved in intervening on behalf of taxpayers in four court cases: two involve supporting provinces (sub-national governments) in their effort to stop the federal government from imposing carbon taxes. One other case involves arguing that if governments take money illegally (as deemed by the courts) they should be required to pay it back. And finally is a case involving what the CTF dubs “gag laws” (restrictions on citizen groups to undertake paid advertising to support or oppose public policies). This particular law would require any donation to a group engaged in advertising to disclose their name. Obviously, such a law would invade privacy but more importantly prevent barriers to people criticizing their government. 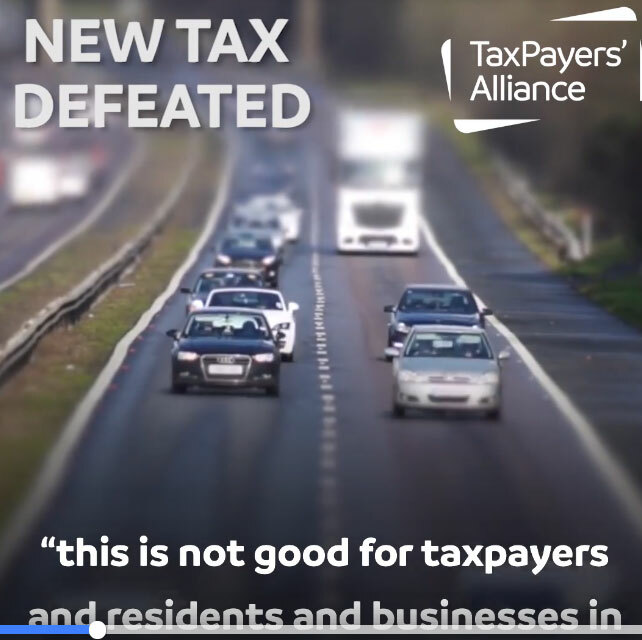 A successful TaxPayers’ Alliance campaign in Southampton means a proposed “clean air zone,” which would have meant a £100 a day tax on certain vehicles entering the city, has been scrapped. To find out more click here. The French government finally removed a fee imposed when paying your taxes by check. It took more than a year. 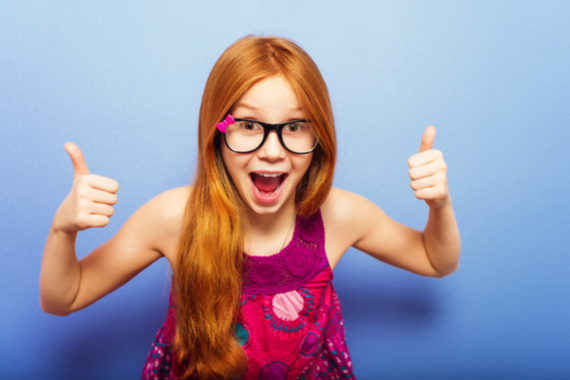 But in the end, the campaign organized by Contribuables Associes paid off! After questioning Gerald Darmanin, the Minister of Public Accounts, and putting pressure on the elected officials, the fee was scrapped. This measure may seem small given the current context, but it was widely viewed as an injustice. On November 30, 2018, TAU celebrated 20 years since its founding. 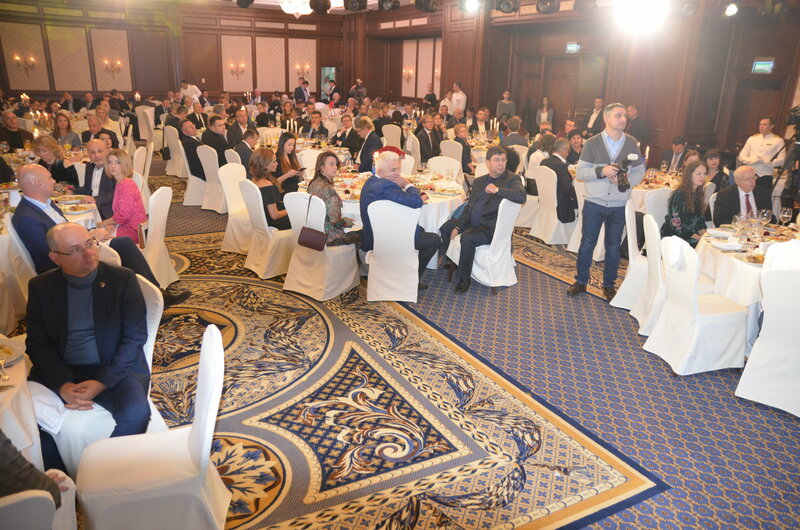 Guests from all regions of Ukraine, heads of fiscal services, deputies and officials were present at the ceremony. Michael Jaeger, secretary general of Taxpayers Association of Europe, international partner of TAU, was also present at the ceremony. Over the past 20 years, the TAU opened offices in all regions in Ukraine- 25 territorial branches with over 5,000 members (individuals and legal entities). 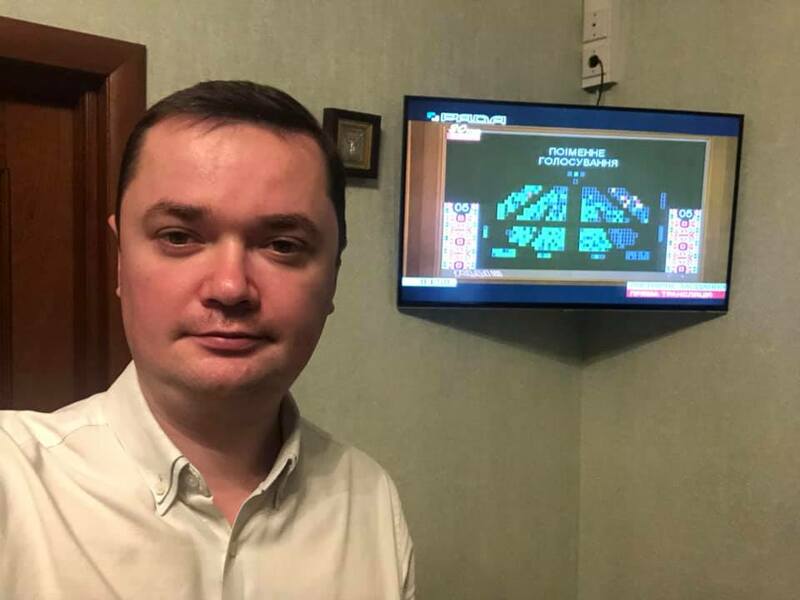 During this period, Memorandums of Cooperation with the Fiscal Service of Ukraine and other governing bodies were signed in order to seek tax reforms. Also during the event, TAU’s Annual Taxpayer Award was handed over. Last but not least, TAU’s Congress took place and new vice-presidents and Board members were elected. Anders Ydstedt warns of the latest move by the European Commission to make it easier to raise taxes: “A qualified majority voting on tax issues will give the power to a few large countries with similar interests.” They will be able to push for tax issues that can really hurt the interests of a minority group of member states. Several WTA’s members gave feedback on this initiative on the European Commission website. The TaxPayers’ Alliance published their 2018 Nanny State Rich List, revealing that hundreds of public health bosses enjoy pay packages of over £100,000. Since the TPA’s last rich list publication in 2016, the public health puritans in Britain have succeeded in lobbying for a sugar tax, a ban on junk food advertisements in London, and suggested a 79% tax on meats and a ban on milkshakes over 300 calories. The Nanny State Rich List details senior salaries in relevant quangos and the total remuneration of relevant posts in local government. It provides the most comprehensive picture of the cost of employing public health top brass that has ever been produced. Britain’s 10 best paid public health employees all receive above £200,000, with 2 individuals receiving over £300,000. This is in contrast to 2014-15 when just 3 public health employees received above £200,000. When excluding the directors of public health in local authorities, the total number of public health employees in the UK receiving over £100,000 has increased from 223 in 2014-15 to 266. PHE has 241 employees in receipt of total remuneration in excess of £100,000, an increase of 17 per cent, or 42 employees. The number of PHE employees earning over £150,000 has similarly increased from 7 in 2014-15 to 13. In December 2018, the Spanish Taxpayers Union (Unión de Contribuyentes) launched the second edition of its Regional Tax Competitiveness Index. This report inspired by the Tax Foundation’s State Business Tax Climate Index measures and ranks all 19 tax authorities on their performance to reduce and simplify taxes in order to attract companies, residents and employment. The report can be downloaded in Spanish here. In 1980, corporate tax rates around the world averaged 46.63 percent, and 38.84 percent when weighted by GDP. Since then, countries have realized the negative impact corporate taxes have on business investment. Now, in 2018, the average corporate tax rate is 26.47 percent, and 23.03 when weighted by GDP. 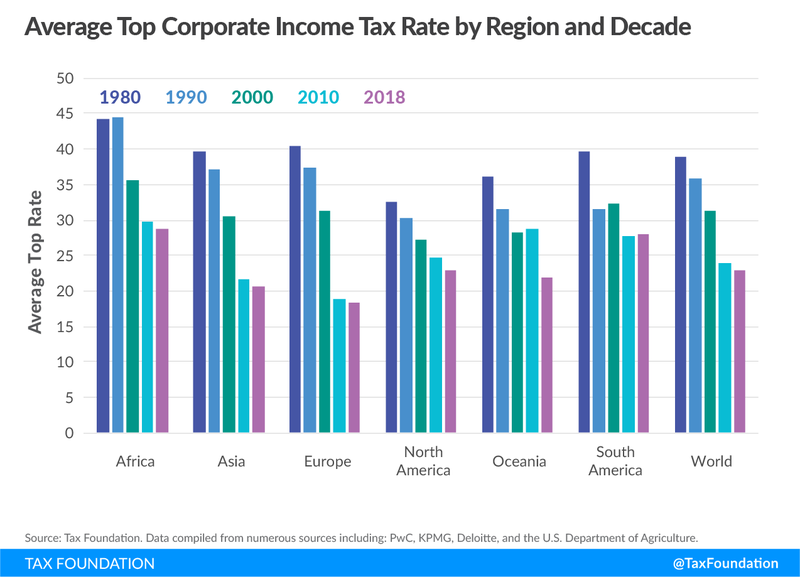 The worldwide average statutory corporate tax rate has consistently decreased since 1980, with the largest decline occurring in the early 2000s. Declines have been seen in every major region of the world including in the largest economies. The recent tax reform in the United States brought the statutory corporate income tax rate from among the highest in the world closer to the middle of the distribution. Europe has the lowest regional average rate, at 18.38 percent (25.43 percent when weighted by GDP). Conversely, Africa has the highest regional average statutory rate, at 28.81 percent (28.39 percent weighted by GDP). The average has declined the most in Europe, with the 1980 average of 40.5 percent dropping to 18.38 percent by 2018. The Employment Flexibility Index is a quantitative com­parison of regulatory policies on employment regulation in EU and OECD countries. The Index is based on the World Bank data reflecting a particular case assumption and collected by way of questionnaire. Higher values of the Employment Flexibility Index reflect more flexible labor regulations. Denmark, the United States, Japan, the United Kingdom, Canada, Ireland, New Zealand, the Czech Republic, Bul­garia, Switzerland and Malta maintain top positions in the overall ranking. However some significant changes were recorded. France’s overall score decreased by 1 point, but this did not impact the country’s rating among EU and OECD coun­tries. France still remains in the last position (41st) with a score of 38.4. A lower score was caused by an increase of severance pay for redundancy dismissal. The Lithuanian Free Market Institute also released a shadow economy report. The research is based on representative population surveys carried out between March and April 2018 in Lithuania, Latvia, Estonia, Poland, the Czech Republic and Sweden. Its goal was to examine the size and public perceptions of the shadow economy and engagement in illicit activities. The report concludes that “the most important factors of the shadow economy are related to taxation”. 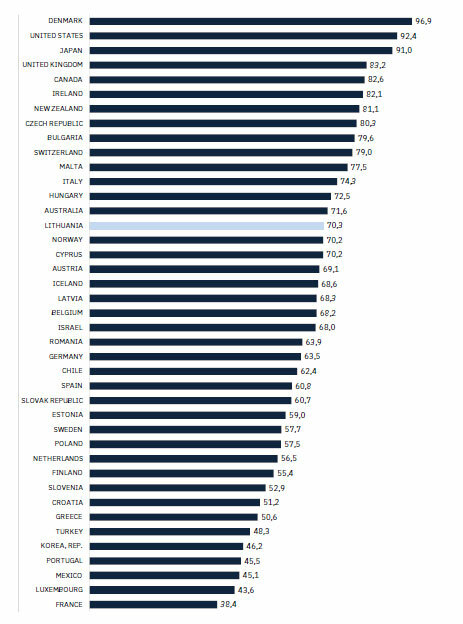 “Public perceptions of the reasons behind illicit purchases are similar in all surveyed countries. The high cost of legitimate goods and the price difference between legitimate and illegitimate goods is seen as the main reason for illicit purchases. This was indicated by 89% of respondents in Lithuania, 83% in Estonia, 75% in Latvia, 71% in the Czech Republic, 70% in Poland, and 66% in Sweden. High labor taxation is also considered to the main driver of undeclared work. The shadow economy evolves when restrictions are placed on economic activities: without restriction, there can be no shadow economy. All other conditions being constant, the more burdensome taxes and regulations get, the more incentives they create to participate in the shadow economy. 2019 Europe Liberty Award application deadline: April 1, 2019. 2019 Latin America Liberty Award application deadline: May 15, 2019. 2019 Africa Liberty Award application deadline: July 1, 2019. 2019 Middle East & North Africa Liberty Award application deadline: October 25, 2019. In closing, I’d like to encourage everyone to please visit our website and our Facebook group. Our community is only as strong and as beneficial as we choose to make it. Please work with our Secretary General Cristina Berechet to feed good content into this newsletter and our network at large.